Reading the Qur’an, going to mosques, listening to Islamic scholars – these all sound like the behaviors of a Muslim. But they also became the activities of 17 Christian high school students during a recent four-day trip. I called it the “Muslim Mission,” where believers were immersed in the world of Islam and engaged Muslims of all stripes. Why do such a trip? Because training Christians to be prepared and confident enough to witness to both lay Muslims and scholars requires more than a clever article or intense lecture. It requires study, practice, and correction. In a word, it requires action. And that’s what the Muslim Mission provided. Training began many months prior when I role-played a Muslim to a group of unsuspecting Christian students. That experience demonstrated their need to get educated. From there the students heard lectures and read books on Christian apologetics to Islam, including my book, The Ambassador’s Guide to Islam. But even after all that study, the students weren’t trained. They just knew a lot of stuff. Something else was needed. They needed to put into practice what they knew by engaging Muslims. Fortunately, with several million Muslims living in the United States, it wasn’t necessary to fly to a distant country to do cross-cultural missions. All we had to do was drive to a major city. In our case, we took these Orange County students to Los Angeles. Once we found a few mosques, we knew communities of Muslims lived nearby. 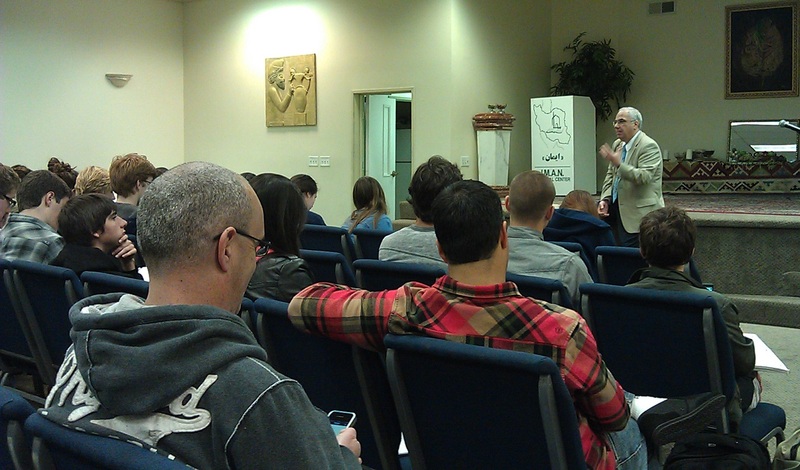 We began the trip by meeting Persian converts from Islam to Christianity. They told us about their life as Muslims and how God intervened to bring them to the truth. This was an important first step, in my opinion, because there is a belief among some circles of people that Muslims don’t ever become Christians. Or at least it’s really, really difficult. So the students got to meet these converts, listen to their testimonies, and have dinner with them. This gave them the knowledge and confidence that Muslims do, in fact, come to Christ. That helped prepare the students for the next day’s activity. We took them to a Muslim neighborhood to practice street evangelism. They had to find and meet Muslims and begin conversations about God, Jesus, and the Bible. This was their first chance to put their knowledge and conversational skills to the test. And the results were great. Students reported how easy it was to start talking to Muslims about religious issues. Since many of the Muslims were nominal, they didn’t offer sophisticated arguments for their views. But this built up the confidence of the students, something they needed for that evening. That night we took them to a mosque at the Iranian American Muslim Association of North America. In addition to a tour of the facility, a Shi’ite Islamic scholar presented a lecture on the similarities and differences between Islam and Christianity, especially those pertaining to Jesus. This was a step up in difficulty as the students were no longer talking to the average Muslim on the street. The scholar was a UCLA Islamic law professor who previously was an attorney for the Iranian parliament in Tehran. Despite his imposing credentials the students jumped right in and challenged him with good questions. After his presentation, the mosque served us dinner and the students got to sit with the scholar and other Muslims chat informally. It was a perfect combination of intellectual and relational engagement. The following day the training and challenge grew more intense. We drove to a large Sunni mosque where two American girls shared their testimony of how and why they converted from Christianity to Islam. The girls in our group got to meet with them in a private room after their presentation and delve into a more personal discussion. They were very excited about the exchange. But the bigger challenge was the Sunni Muslim speaker at the mosque. He was extremely aggressive and rhetorically sly. He attacked the reliability of the Bible, the Trinity, and the atonement. The students, however, didn’t stay quiet. They used what they learned to go toe to toe with him and his claims. It was a vigorous exchange. It was these and other experiences that gave the believers the chance to practice their skills with real Muslims who really disagree with them. It also helped them build their confidence to engage Muslims in the future, wherever they meet them. But the trip wasn’t merely an academic exercise. Within the first couple of days, the students’ hearts grew heavy for the Muslims. These diligent followers of Islam tried so hard to be good – to win Allah’s approval – but ultimately had no confidence they would enter heaven. You could tell from the students’ prayers that they longed for their Muslim friends to trust Christ for their salvation. Now their desire to see Muslims accept Jesus was matched with the proper training to share His message effectively. Islam was no longer foreign to them. Mosques were no longer a mystery. But most importantly, Muslims were no longer strangers. These Christian students were now properly trained ambassadors for Christ to Muslims. That’s the power of the Muslim Mission. It’s training for war. But the war is not against Muslims – they are hostages of the enemy. Our battle is against Satan, his army, and his lies. As Paul writes, our weapons “are not the weapons of the world. On the contrary, they have divine power to demolish strongholds. We demolish arguments and every pretension that sets itself up against the knowledge of God” (2 Corinthians 10:3-5). It is the enemy, Satan, who has erected the stronghold of Islam. He has taken captive 20% of the world’s population. That’s why we can never forget that we are at war. The enemy is real. But we must train ambassadors to do the work of diplomacy for His kingdom. 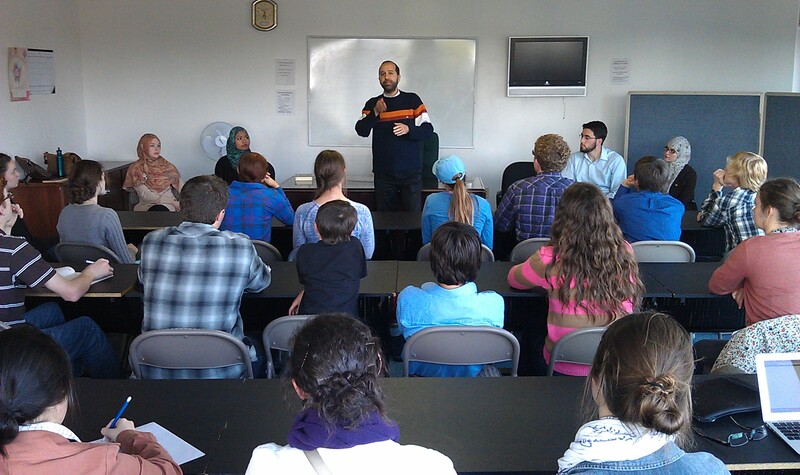 If you’re interested in the Muslim Mission, it can be arranged near any major U.S. city. Contact Dawnielle Hodgman at Dawnielle@str.org for more information about booking a training experience like this.